Brenda is a Managing Partner of First Financial Strategies, LLC. She began her career in the financial services industry in 1999. Her knowledge in the areas of insurance, investments, estate and tax planning allow her to encompass a detailed financial planning approach to help her clients achieve their goals. Though her practice is diversified, she has extensive expertise in designing retirement income strategies. Over the years she has worked closely in the development and evolution of the Income for Life Model™, a methodology designed to provide inflation adjusted income in retirement. 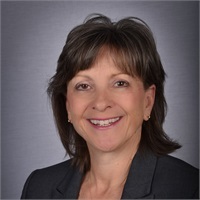 Brenda holds the professional designations of Chartered Financial Consultant, ChFC®, awarded by The American College in BrynMawr, PA. Certified Fund Specialist, CFS®, and Accredited Investment Fiduciary, AIF®. Because of her commitment to addressing the financial needs and goals of seniors she has completed advanced curriculum that focuses on the health, social and financial issues that are important to seniors. Brenda is an Investment Advisory Representative. Having moved to Colorado from the Midwest in 1981, Brenda resides in Denver. She and her husband, Maury, have two children, Hannah and Garrett.